A delicious home cooked meal that reminds you of your parents or grandparents cooking can bring a smile to your face and warm the soul. For our friend Jennie Brazilian food was on the menu so off to the internet we went. The menu was Feijoada (stew of beans with beef and pork) and Shrimp with Catupiry Cheese and Hearts of Palm (catupiry cheese was not available, so I substituted cream cheese per the recipe). 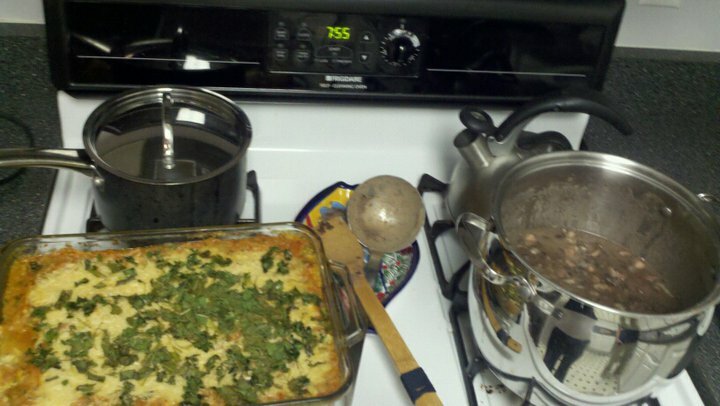 Thank you to Erica and her husband Kevin for preparing the Feijoada. Of course dessert was cupcakes (Lemon filled with lemon curd and blackberry cream cheese frosting). Thank you to Maria-Brazil’s site for the recipe. Cut tomatoes in half, Lightly oil the bottom of a 13×9 pyrex dish, place tomatoes flesh side up and sprinkle with salt and pepper. I added the garlic cloves, still in the peel and roasted all of it at 375 for about 25 minutes. 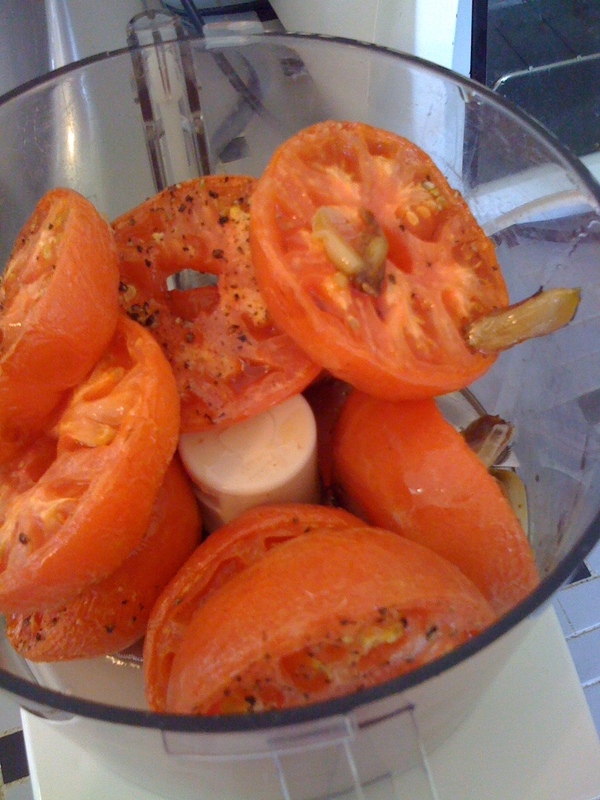 After the tomatoes and garlic have finished roasting, Chop tomatoes into big chunks and puree in blender or food processor with the roasted garlic cloves. 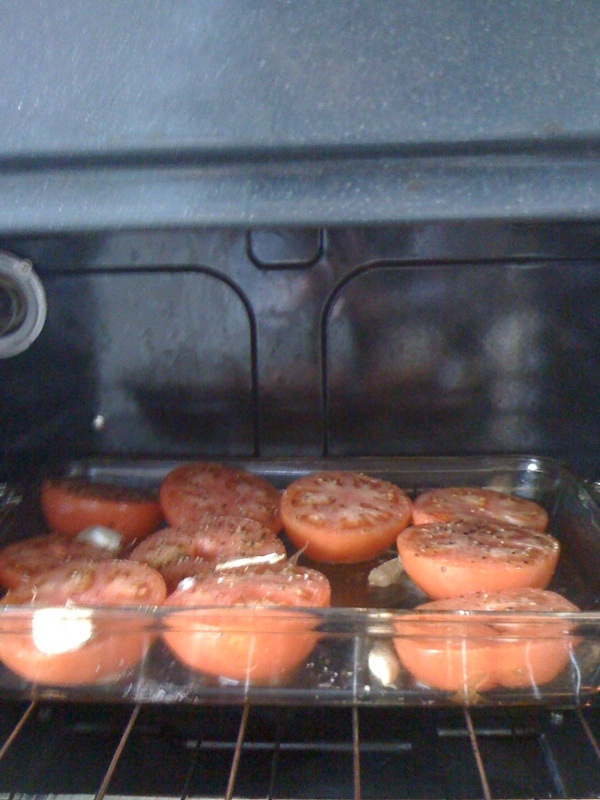 pyrex ( I wiped out some of the excess oil and used the same dish i roasted the tomatoes in). 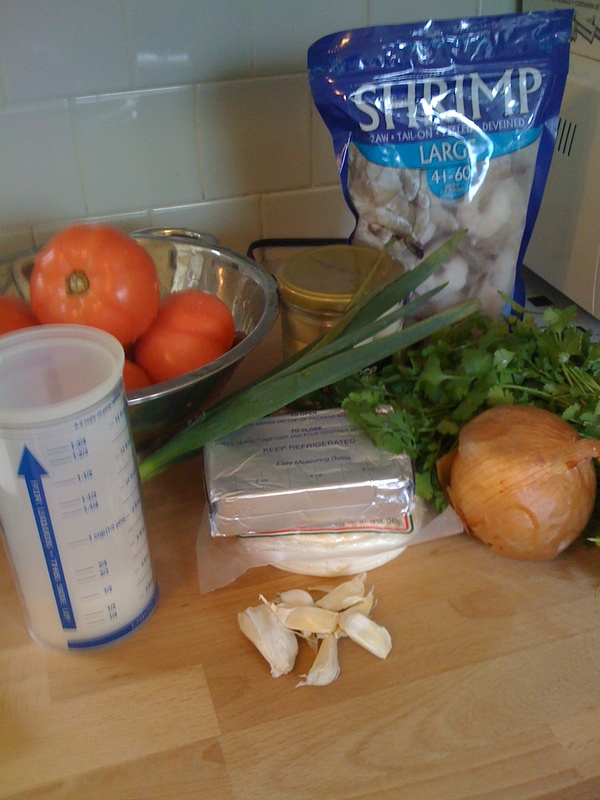 parsley or cilantro), green onions and whole peppercorns. (about 15 minutes). Serve with rice and Enjoy! and all of it was amazing!